1) In a saucepan, heat 1tbs olive oil in a pan and then add 1 of the diced onions and fry until it is soft. Next, add in one clove of crushed garlic and stir gently. 3) In a separate pan, heat 1tbs Olive Oil and add the remaining onion, frying it until it is soft. Add in the crushed garlic. 4) Drain the black beans, reserving some of the cooking liquid. Add them to the pan and with a wooden spoon, break the beans down into a paste, leaving some beans whole. 6) In a frying pan, heat some oil and fry the eggs to suit your taste. I like to crack the yolk and fry it so that it doesn’t run, however others may prefer a runny yolk. Whilst this is happening, warm through your tortilla wraps. If you are shaping them into bowls, you will need to use an upturned muffin tray and place the wraps between the muffin holders. Place them into a preheated oven for 5-6 minutes. 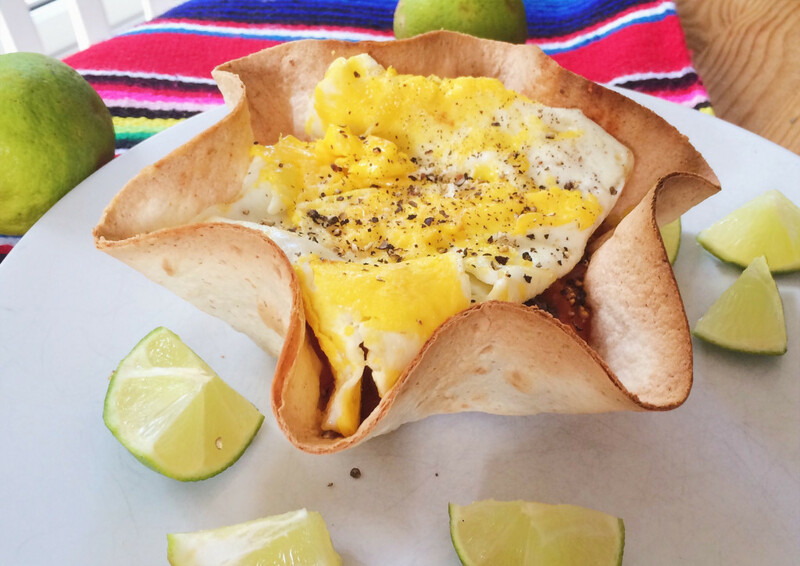 7) Place your tortillas on plates and layer up the tomato sauce, black beans (frijoles) and fried eggs. Season with salt and pepper and enjoy.